New ACCURL® high-tech TP and TC turret punch presses are produced as a closed type rigit Steel construction into a rigit structure, the finite analysis system was used in the design and simulation process to allow minumum deflection during operation. 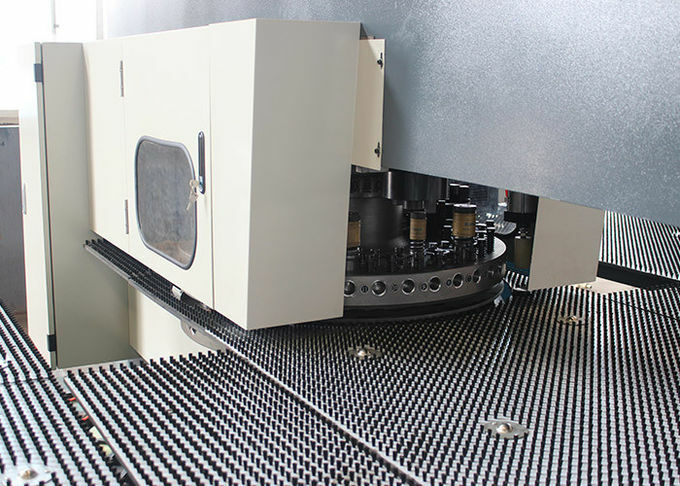 No deflection between the turret and tools occurs during the punching process and it increase tool life. 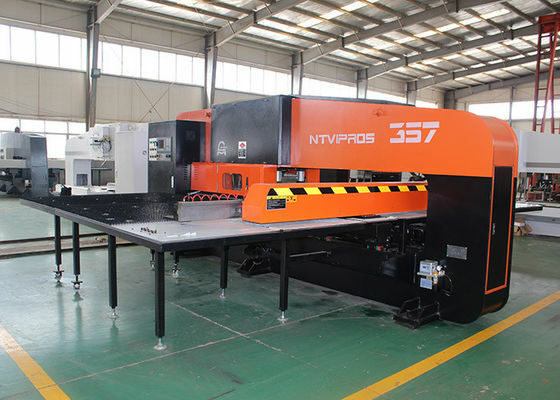 TPP series turret punch presses has 2 models with 27 station/700 stroke and with 33 station/900 stroke which helps to finish all the work at onces even on very complicated sheet products. 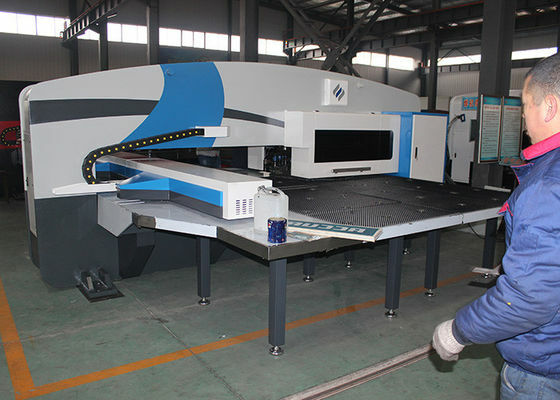 So ACCURL turret punch presses provides a complete solution with optimum cost. 1. High-intensity, high-rigidity steel plate welding structure bed. 2. Hydraulic system drive, stable, low noise. 3. Adopt long-oriented, international general structure, to facilitate matching. 4. Inlaid with high-quality wear-resistant lining, convenient maintenance and long service life. 6. Imported FAGOR control system. 7. Imported famous brand AC servo motor. 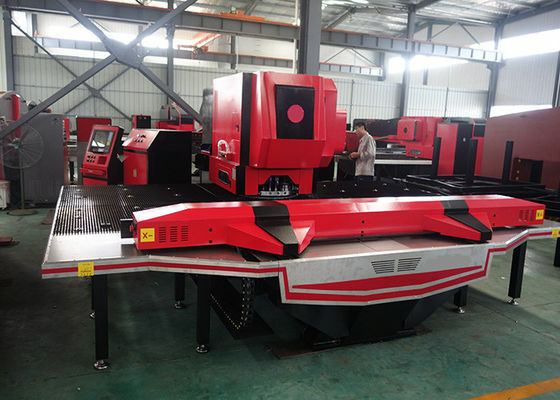 To ensure high-speed, good stability and high precision. 9. Imported Precision Linear Guide way. 10. Universal ball bearing material or fine brush units, to protect the work piece from being scratched. 1. Axis, independent digital control of three-dimensional coordinate movement. 2. the servo motor controlled precision ball screw drive and locking. 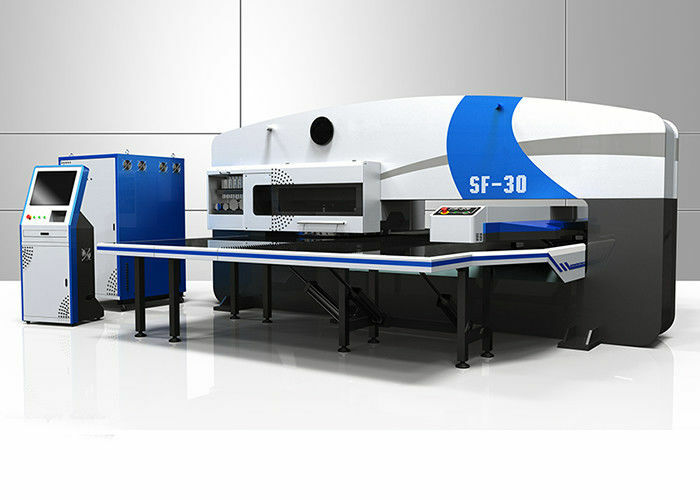 3. the three-dimensional coordinates can be manually fast, slow moving and incremental movement. 4. the absolute coordinates and relative coordinates programming. 5. screw backlash software compensation. 7. using ISO standard NC code programming. 8. recall, modify, delete, insert other editing functions. 9. the dry run self-diagnostics, the program displays an error. 10. overcurrent, overvoltage, overheating, wrong phase protection. 11. breakpoints continue processing functions.